"your home away from home since 1995"
9 Alderbury turn at the traffic lights. PRICES FOR CHILDREN AVAILABLE ON APPLICATION DEPENDANT ON WHERE THEY SLEEP AND THEIR AGE. To make a booking please phone , (61) 8 93837112 or email toogdog@bigpond.net.au or look at our contact page on this website. 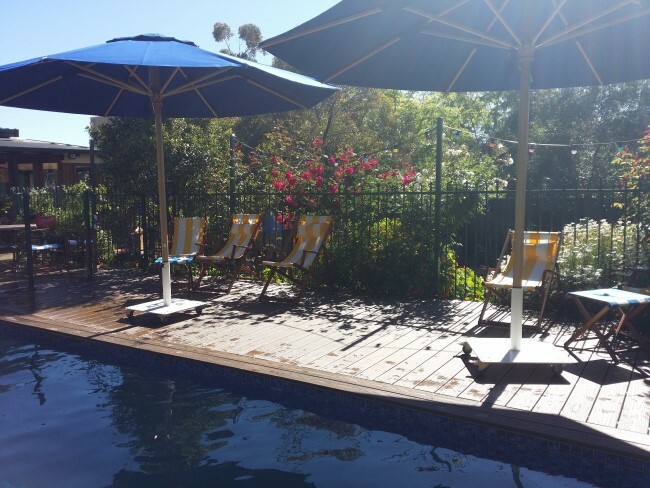 Floreat Bed and Breakfast is one of the oldest in the Perth area. We cater mainly to country people coming to the city however everyone is welcome at the FBB. Our large family home offers quiet, clean, comfortable accommodation in a relaxed atmosphere. Tea and Coffee and other juices etc available free all day. Plenty of fridge space for your own drinks. We do not offer any kind of self catering but will provide you with a magnificent breakfast of your choosing from our extensive menu. Breakfast is from 7am until 8.30am. Late breakfast at 9am available on Sundays. Dinner and lunch available on request. Our accommodation offers a queen sized bed, Or Twin king singles, TV, DVD, WiFi, Aircon and your own bathroom. There are lovely outdoor and indoor areas to sit, read and relax. There are lots of restaurants and shops close by and the 28 bus and 99, 98 circle route leave from just outside. Close to the beach, a short bus ride or leisurely walk. If you stay at the Floreat Bed and Breakfast you will meet our extended family of dogs, ducks, fish and many wild birds who visit daily. Our pets are not allowed into bedrooms or the dining room. The whole property is a smoke free zone except on bbq days. Please phone us for your booking enquiries. © 2017. Floreat Bed and Breakfast. All Rights Reserved.